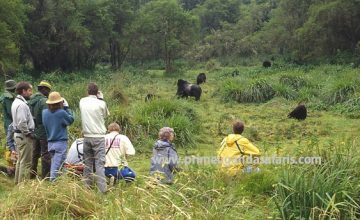 6 Days Uganda Gorilla Safari & Chimpanzee Trek; This Uganda Gorilla Tour starts and finishes in Kampala. 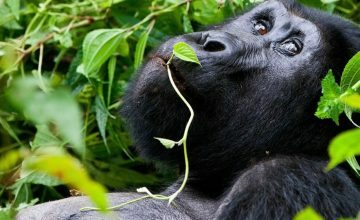 Go Gorilla trekking in Bwindi then a Uganda wildlife safari in Queen Elizabeth Park & L. Mburo Parks. 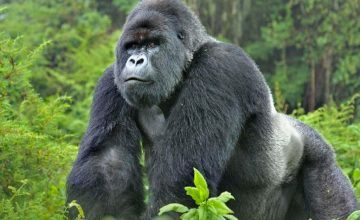 10 Days Uganda Gorilla Safari Tour; This Uganda Gorilla Tour offers the best in the famous Uganda Wildlife safari parks of Murchison falls National Park, Kibale Forest National Park, Queen Elizabeth NP. 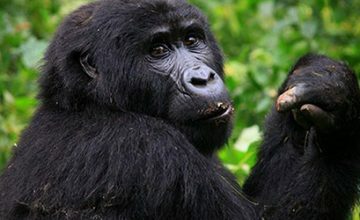 11 Days Uganda gorilla Safari, wildlife & cultural safari; is a Gorilla safari in Uganda for you to see the Uganda`s wildlife, Gorillas and cultural as well as the scenic landscape of Uganda. It covers the Uganda’s. 12 Days Uganda Gorilla Safari, Primates Tour Uganda National Park Safari; Start from Kampala to Lake Mburo, Queen Elizabeth for wildlife, Bwindi for Gorillas, Kibale for chimp trekking safari. 13 Days Uganda Gorilla Safari, Wildlife and Cultural safari; A Uganda Gorilla Tour with a blend of wildlife, culture, scenery and gorillas. 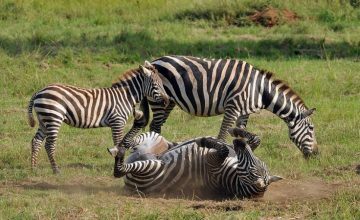 It brings out the best of Lake Mburo National Park known for horseback safaris. 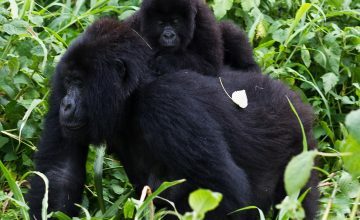 14 Days Uganda Gorilla Safari; Is a Uganda Gorilla Tour with a blend of Uganda’s wildlife safari, Primates tour, adventure, culture coupled with great scenic views in Uganda. It involves encountering Kampala city tour trip. 17 Days Uganda Safari Tour; Entirely comprises of adventure, sightseeing, cultural, wild game and Chimpanzees. It takes you through the adventures of the Victoria Nile on a Jinja tour. 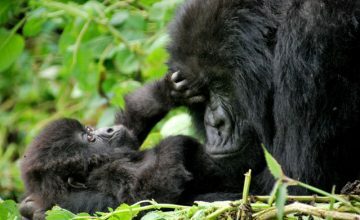 18 Days Uganda safari incorporates gorillas, Chimpanzees, culture, wildlife and scenery. It offers the heritage of Kampala city, adventures of River Nile, Rhinos in Ziwa sanctuary. 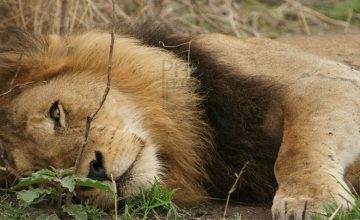 21 Days Best of Uganda safari Tour; A comprehensive Uganda tour package that gives an all-round safari across Uganda. 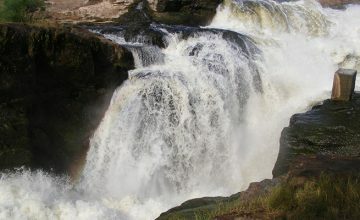 It takes you through the adventures of River Nile in Jinja including white water rafting.